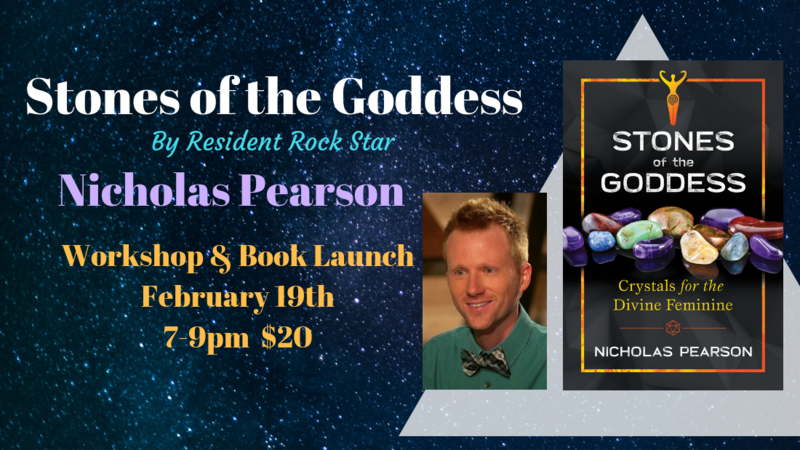 Join author and crystal expert Nicholas Pearson as we celebrate the release of the greatly anticipated Stones of the Goddess: Crystals for the Divine Feminine. Enjoy a journey into the heart of the Great Mother as we connect to her firstborn, the gems of the mineral kingdom. Nicholas will discuss the mythos of the Divine Feminine, share precious stones connected to goddess-lore, and lead a ritual to honor the full moon. Be sure to get your copy of the book signed before the evening ends. Refreshments will be served!